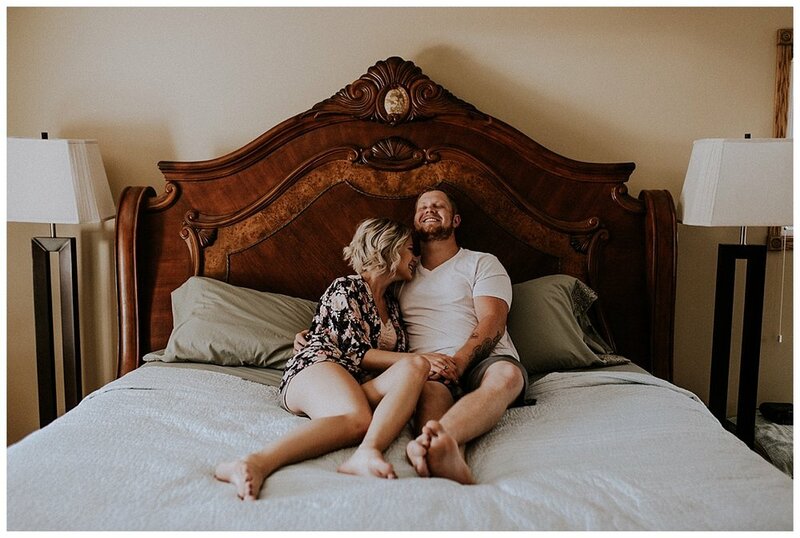 Well Sunday morning I packed up my car and drove out to Brandon, Manitoba where this couple lives. 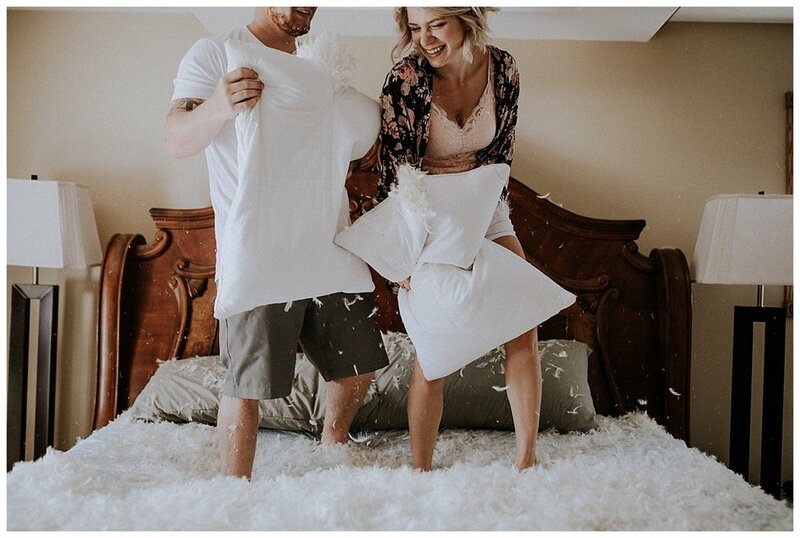 We started our day with an intimate, at-home session and threw feather pillows at each other. The feathers spread EVERYWHERE... Matt afterwards did the courtesy of shop vacuuming the place. We then took off to our next location. There was not a cloud in sight on my entire drive that day which is why I was so excited to be taking photos out in the desert. 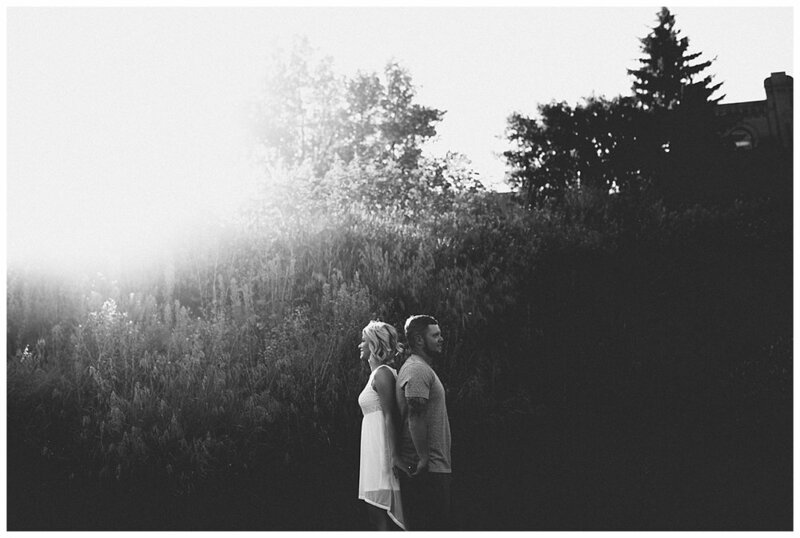 It would be a commitment to hike but Chelsea and Matt were the perfect couple for it! However, once we started approaching our destination, there was a very dark cloud above. The three of us shrugged it off and decided to keep driving as it could have been a passing rain. WELLLL unfortunately that wasn't the case. About five minutes further into our drive, the heaviest downpour started to occur. My car had the fastest setting of wipers on and it couldn't even keep up. Visibility sucked! We tried to get through it until the lightning and hail began to strike. Quarter sized hail was hitting our cars and stopping us from moving any more forward. We had no choice but to turn around and pick another location. After 20 minutes of being stalled with our hazards on the side of the road we decided to pursue heading back, as sketchy as it was.